The Organisations want an optimised and such IT solutions to their already existing IT infrastructures or newer setups, those will provide them the end-to-end solutions. IT solutions define an organisation differently, in this era IT solutions not only uses the technology to create and maintain databases, but also an intelligent way to integrate data, analyse it and provide analytics to organisations, easy way of communicating the information within the system and high security features. Gone are the days of confusion creating wired systems, large setups and links that used a lot of space and created IT chaos. 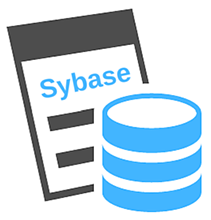 One such technology that provides such type of Solution is Sybase. Mobile applications- applications for retrieving the data on mobile devices such as tablets and cell phones. These technologies integrated offer a wireless and cost efficient infrastructure for the business enterprises which need to maintain the historic data and present data. Thus, it optimizes the cost and it allows non-technical staff of the enterprise to manage the data. Today Sybase has a strong presence in the Telecommunication Sector, Financial Services Sector, Government markets,etc., where data are to be managed for a very long time. Data Management Products based on Relational Database- For organizing and storing data by integrating Relational Database and Datawarehousing. Analytics and Business Intelligence- Analytics and Intelligence tools to provide ready reports for managers. Mobile Enterprise- For making the information infrastructure user friendly and information anytime anywhere available. Also offers information protection and security. Mobile Messaging- For Communication within the information network. Mobile Commerce- for transaction and trading.